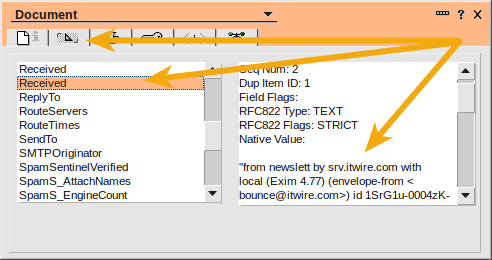 A question I get asked frequently by Admins and Help Desk staff about Lotus Notes is how to view message headers in Lotus Notes email, you know - the information that gives all the details about the routing paths, times and delivery details for a message that originated from an internet address. There are two ways to do this, the first is to browse through the document properties of a selected message. Choose the message in question, and the press [Alt]+[Enter] on your keyboard to bring up the document properties, where you can browse through the fields like RouteServers, PostedDate, etc. The Document Properties dialog can be used to display information about anything in Lotus Notes, not just an email message. There it is, all the delivery information relating to a particular message, full screen with all the transfer and routing information included. 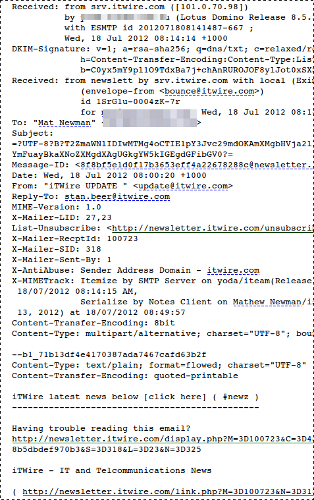 Viewing message headers in Lotus Notes. Easy. Can you believe it took me 15 years to find that View->Show->Page Source? Now I use it daily. Another one : Drag&Drop to .eml on desktop, and edit with notepad(++). Do you know how to get at this programmatically via LotusScript or formula? I'd like to set up an action so my users can click one thing to forward an email to our spam filtering service. 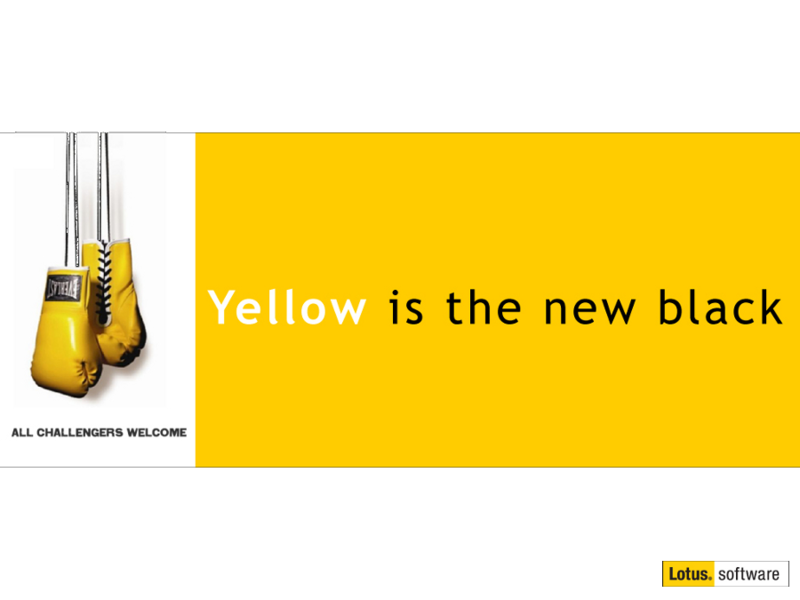 im a newbie on lotus notes. i also need to get the header to check the mail hop. but on my end Page Source is greyd out. @8, Jomar: If the message is internal there are no Internet Message Headers. Use the Action Bar and choose "More" -> "Delivery Information". How to view Message Headers with ip address in Lotus Notes?? How to identify , is the mail got processed by a mail rule or not.. ?